Over Thanksgiving vacation, I was sad to hear that yet another new puppy owner has been burned by an unscrupulous breeder. A temperamentally unsound pup sold to an uneducated puppy parent by a breeder who was out to make a fast buck. I hear these stories all the time and it is so very sad - for both the pup and the owner, but in a way, for the breeder, too. Imagine trying to care for umpteen dogs in a filthy, smelly puppy mill setting. How do you look at yourself in the mirror every day? How do you raise pups without handling them, without cleaning the cages several times a day, much less once a week?? How sad that a human being could think so little of themselves as to allow themselves to treat an animal - usually a much smaller, weaker creature then themselves - treat them with such careless abandon? To me, the poor animals in these places - puppy mills and catteries - are sad pathetic creatures. But even more pathetic in a major way is any human being that would allow it to happen, much less take an active part in it. Having gotten that off my chest, let's talk a little about buying a new puppy (or kitten). 1. Do your "due diligence". 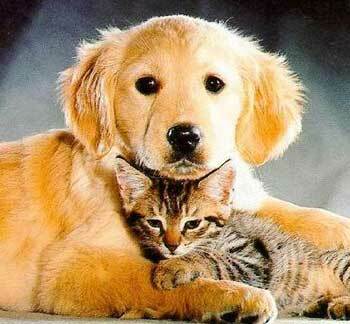 In other words, find out as much as you can about the breed of dog or cat you are considering as a pet. Be sure it will be compatible with both your personal attitudes and your lifestyle. Find out if the breed has any peculiar health or temperament problems, so you will be able to ask intelligent informed questions when you begin to interview breeders. And I do mean interview breeders. Take time to build rapport with the breeder before you go to see the puppies. Ask about them. How long have they been breeding? Do they show? Do they breed pets? Remember that they don't have to be show breeders to be good breeders. But they do have to be aware of the breed standards and it's particular health problems. Of course, it goes without saying that we DO NOT buy from puppy mills or pet shops, who frequently support puppy mills in one way or another. I had someone tell me the people at the pet shop said they never buy from puppy mills! Well, duh! What do you THINK they are going to tell you??? Buying from puppy mills and pet shops does not help the poor pitiful little animals who live there. It propagates a hateful system by continuing to provide financial support. Stop puppy mills by refusing to buy from one, or anyone who does! 2. Buy from a reputable breeder. How do you know that a certain breeder is a good one? Simple! Ask for references! Just simply ask for the names of a handful of their customers. Any breeder trying to do right by their breed will be happy to supply you with names. Any breeder that won't happily give you the names of a few satisfied puppy or kitten parents isn't worth working with, nor should you be contributing to this person's welfare by purchasing a puppy..
3. Look at the puppies. They should be healthy and playful, amongst themselves anyway. It is perfectly normal for a puppy to be cautious of you, so if it doesn't run up and leap into your lap (big dogs may be the exception to this), don't automatically discard it as a good pet. The pup can be cautious, but it should also be curious and interested in you. Ask about their diet. Ask how often they eat. Do they get supplements? When were they wormed? Have they had their puppy shots? What do they like to play with for toys and chewies? Are the pups clean or do they smell like they've been rolling in something yucky all day? 4. Look at the environment. Is it clean? Do they get out to run and play several times a day? Are their cages or kennels clean? Do you see toys and chewies, decently clean blankets and water and food bowls? Hollow, puppies are guaranteed to be in good general health for up to one year, excluding luxating patella (which can be caused by common injuries in our small breeds). A good breeder will provide a guarantee and a puppy contract. You should get the AKC puppy registration papers at the time of purchase, unless there is some unusual circumstance - 99% or the time, the papers should be available at the time of purchase. 6. Be sure you feel 100% comfortable with both the breeder and the pup. You will want to be able to maintain contact with the breeder in case you have any questions about your pup and your breeder - if they are really good ones - will be THRILLED to hear how "their" baby is progressing, right down to "oooing" and "aahing" over those baby pictures with you! 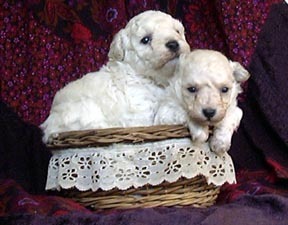 Remember, I am a Toy Poodle Breeder first and foremost. So I know puppies AND breeders and what to look for in both. And if you are shopping for a new pet and have questions not covered here, PLEASE feel free to email me at stnyhlw@ntelos.net. I would love to be able to help you!